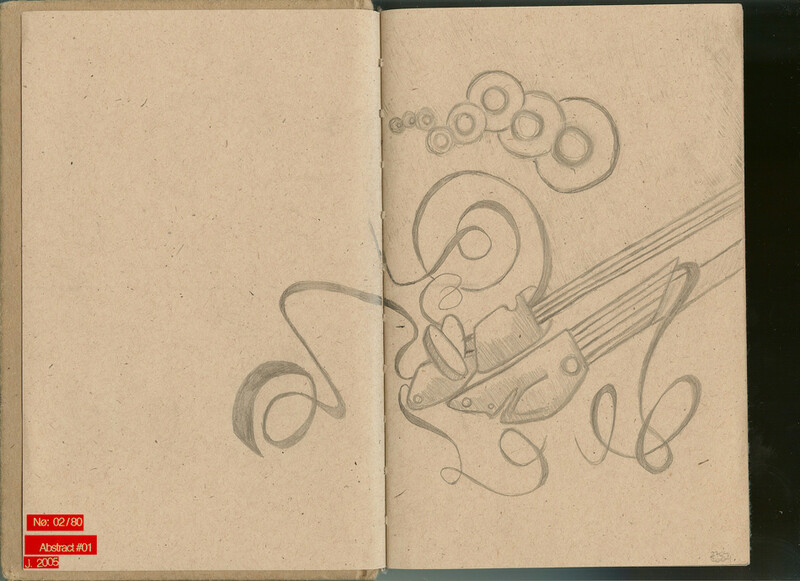 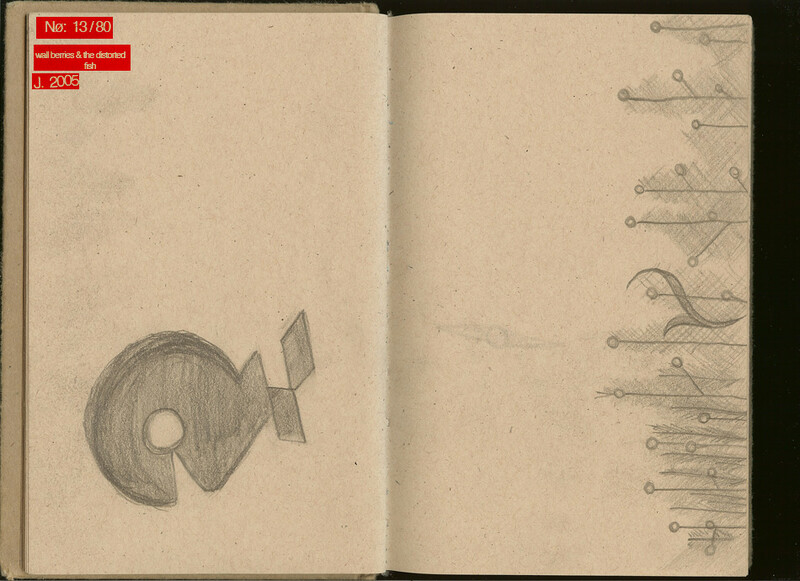 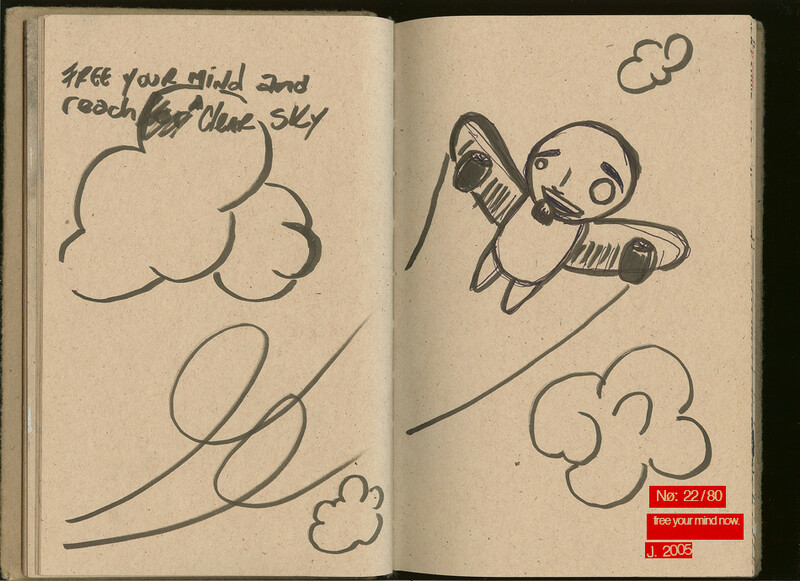 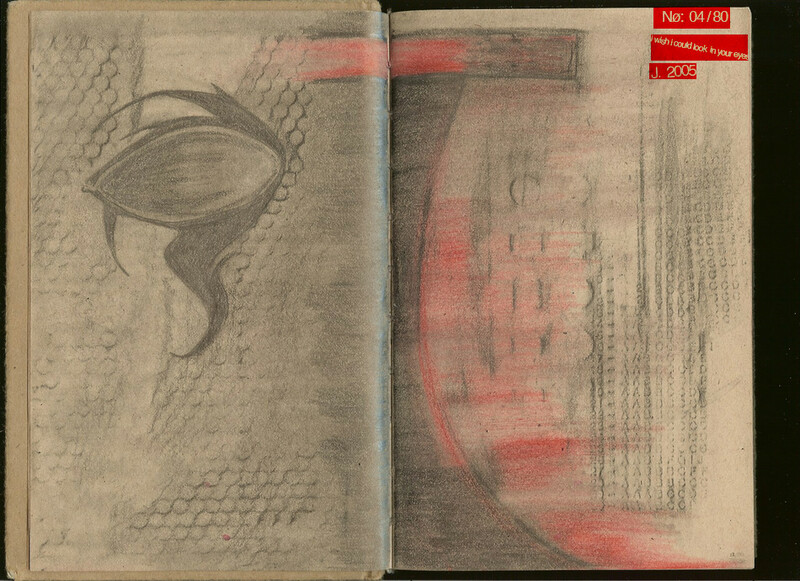 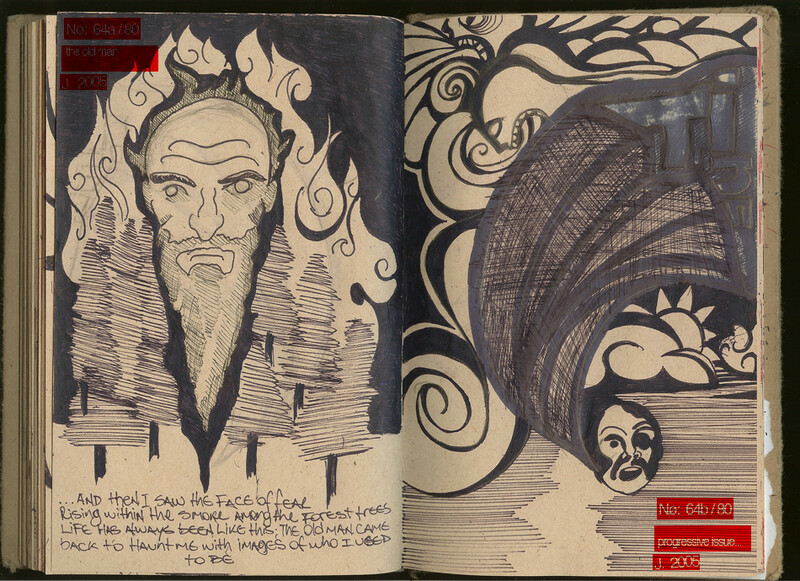 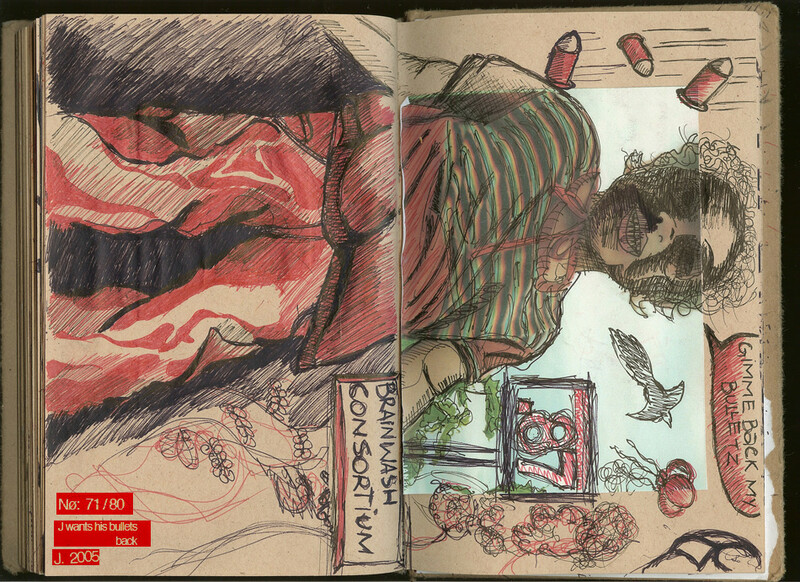 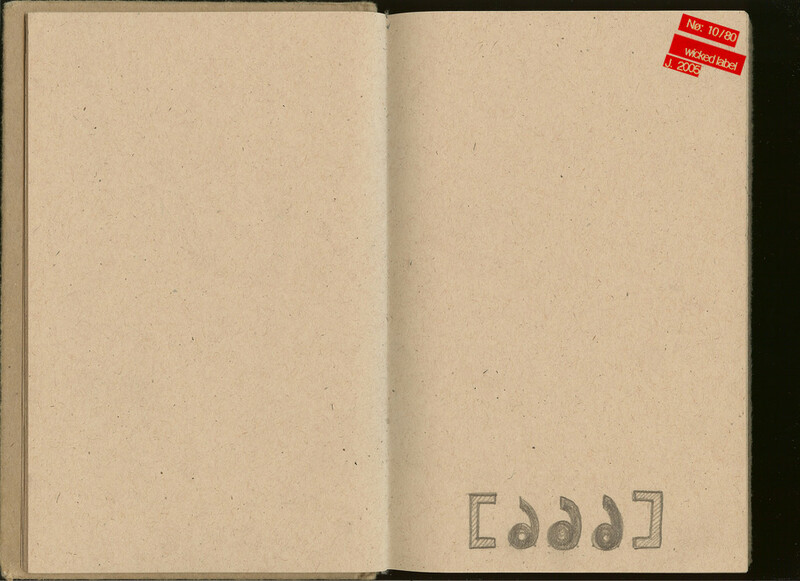 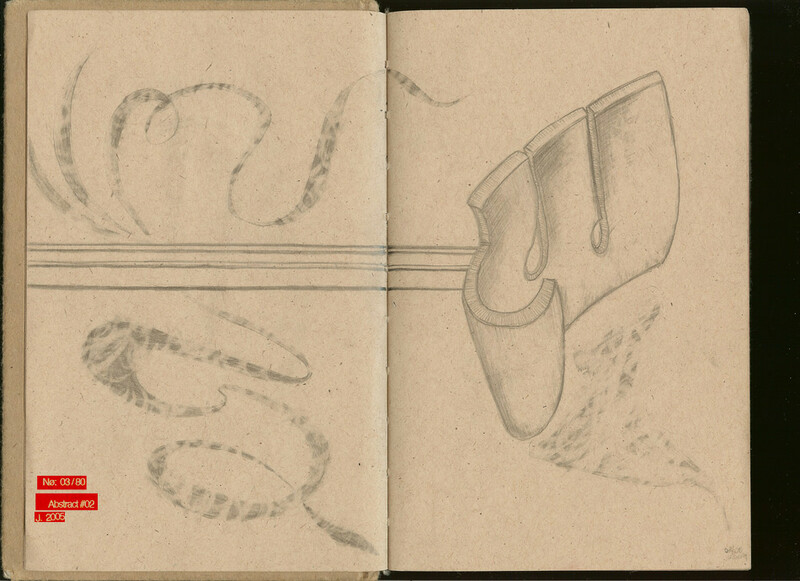 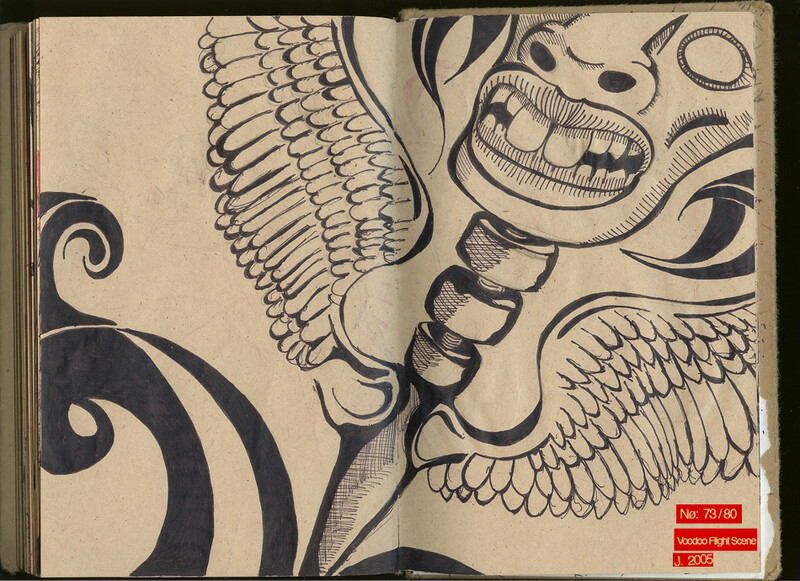 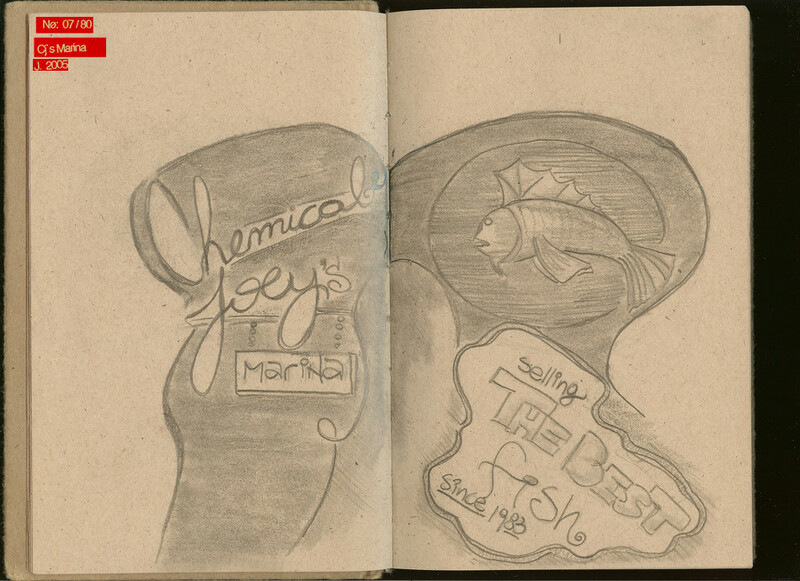 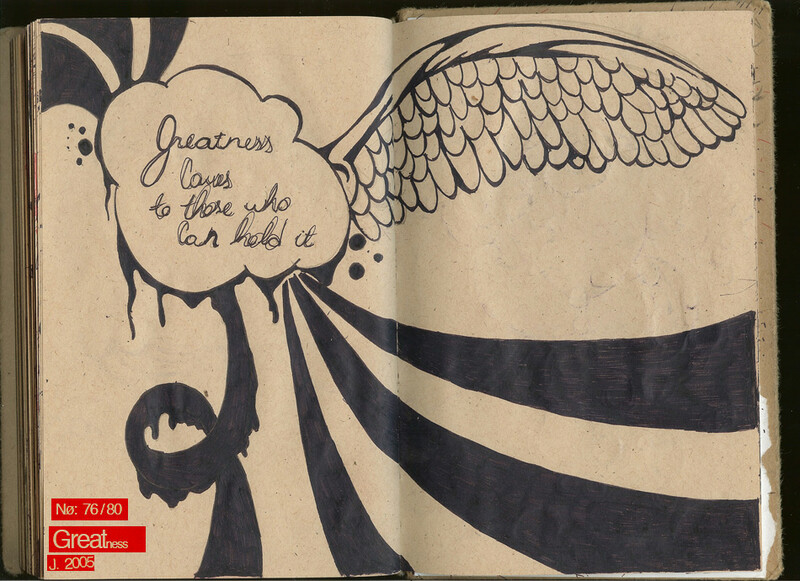 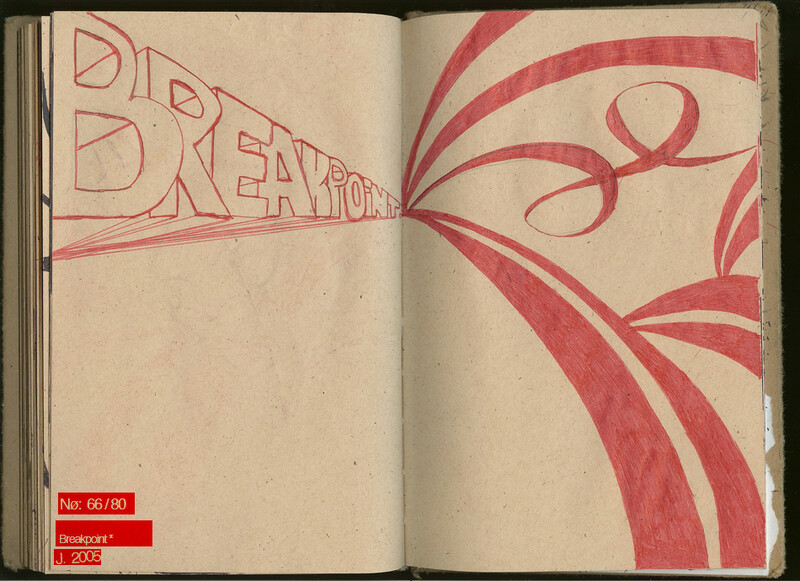 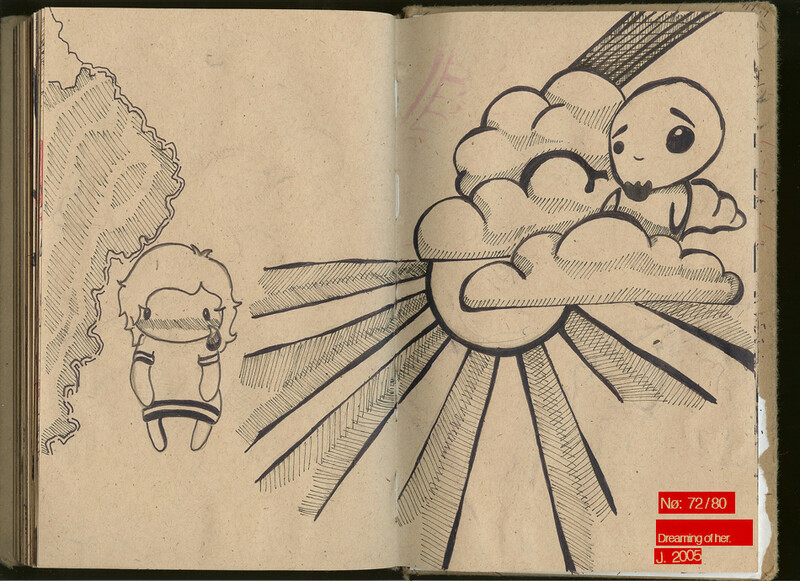 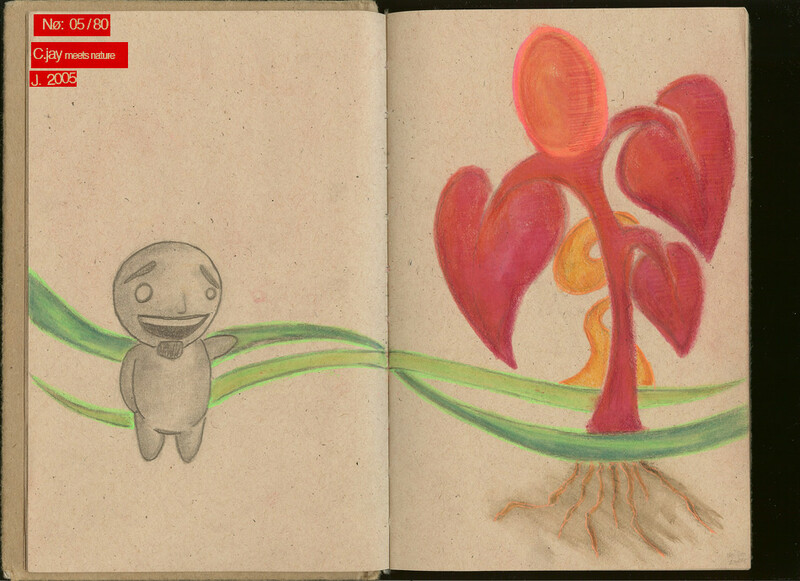 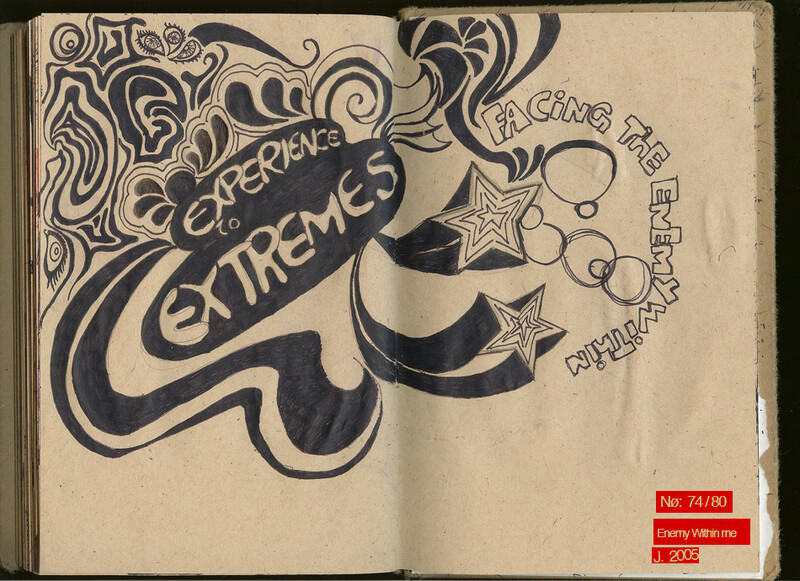 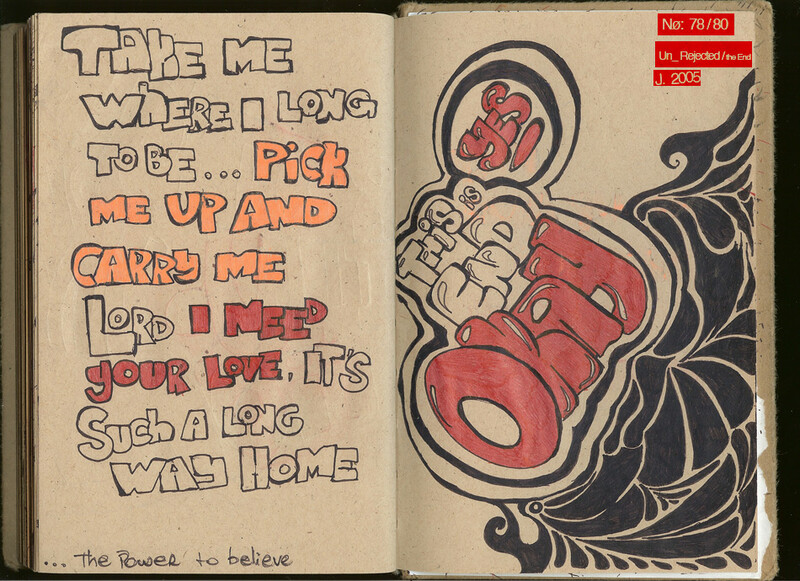 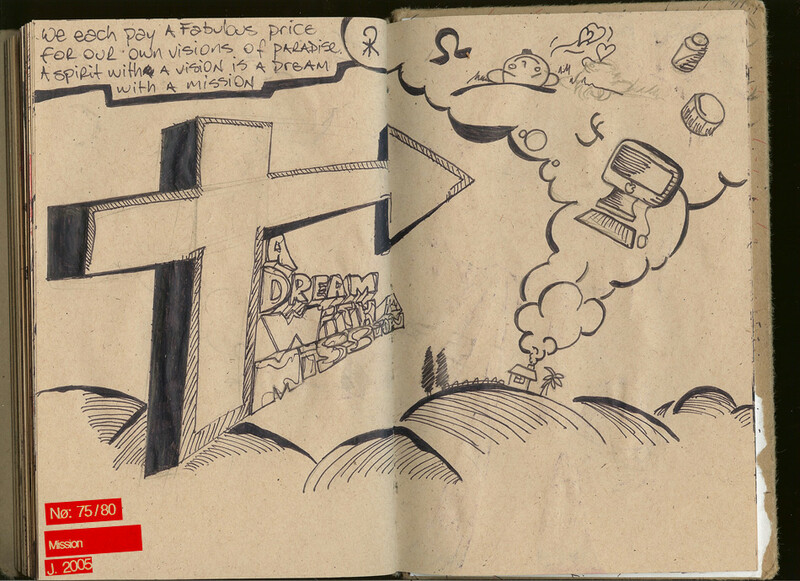 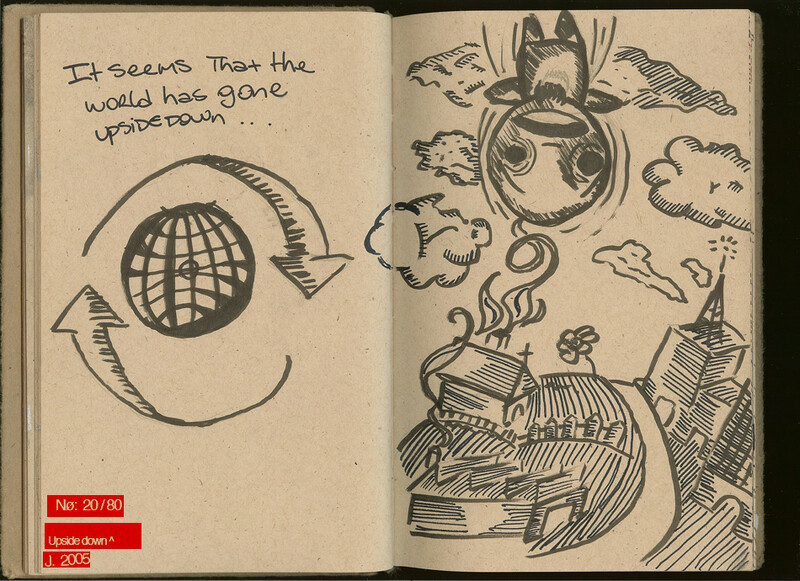 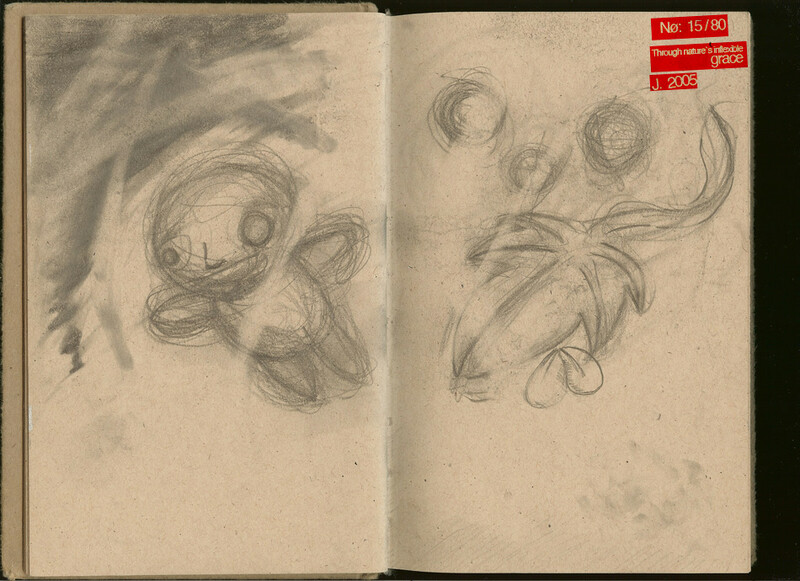 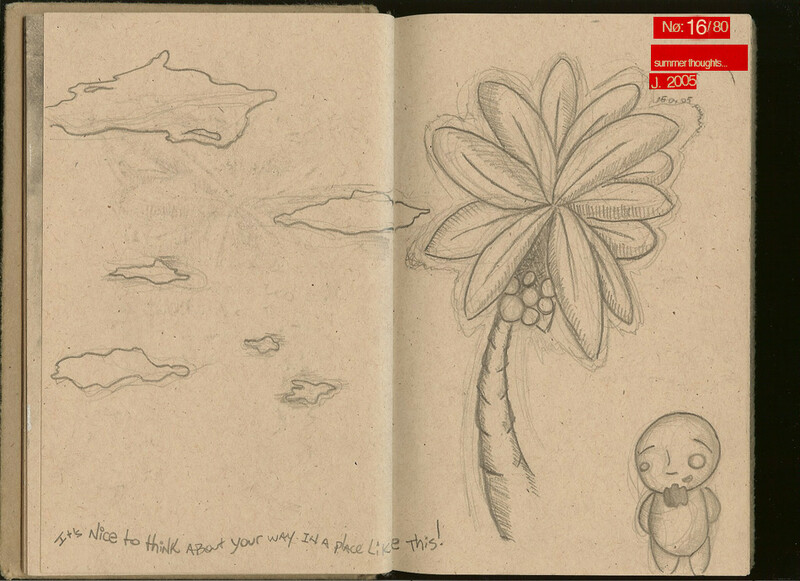 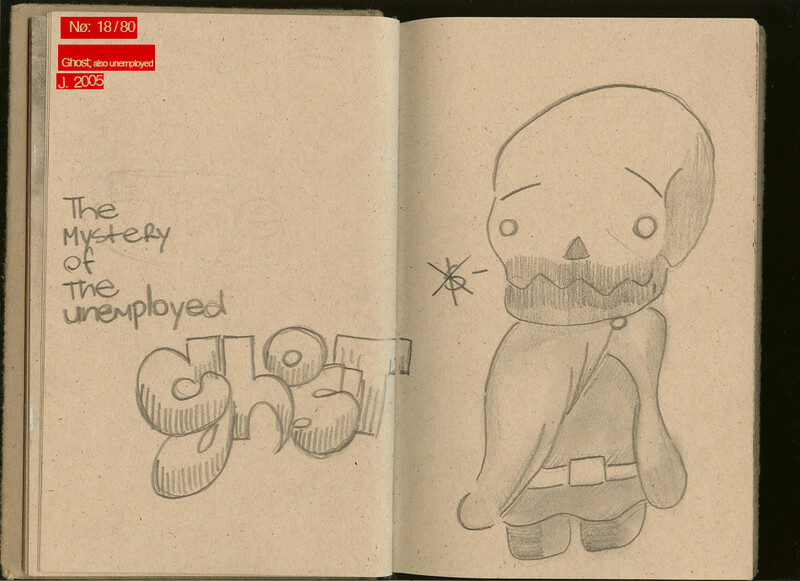 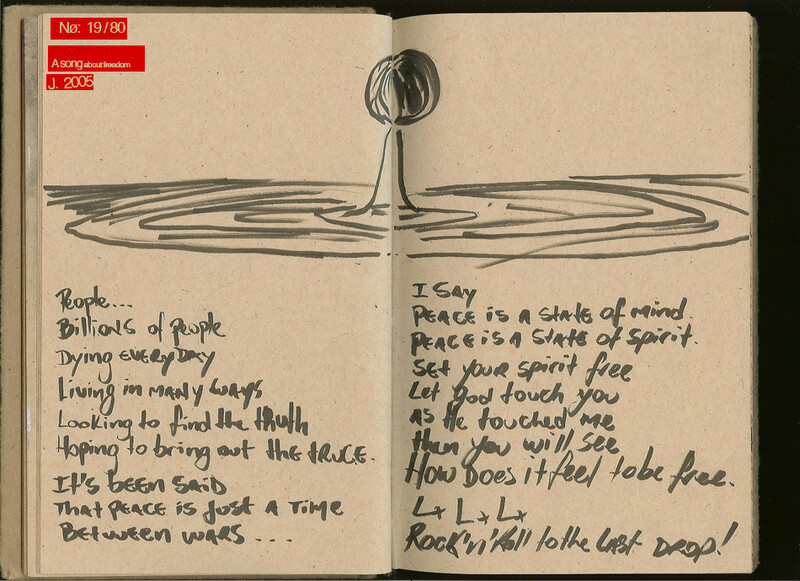 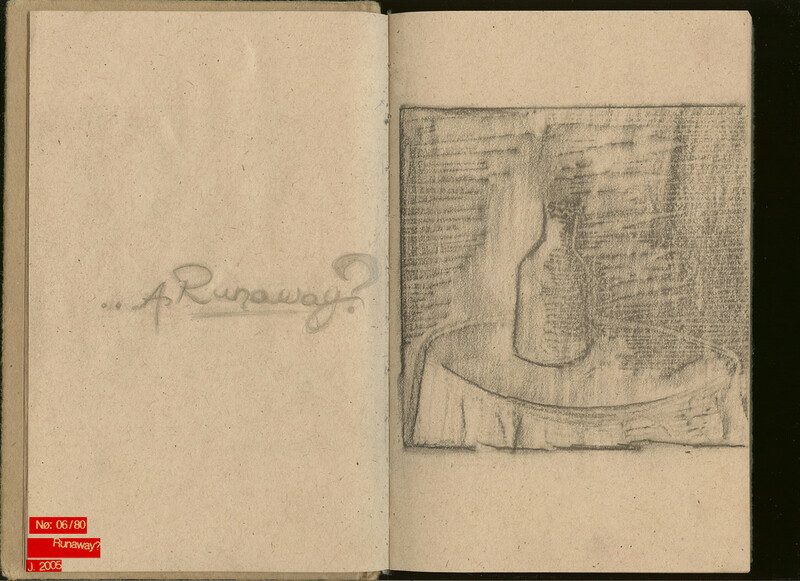 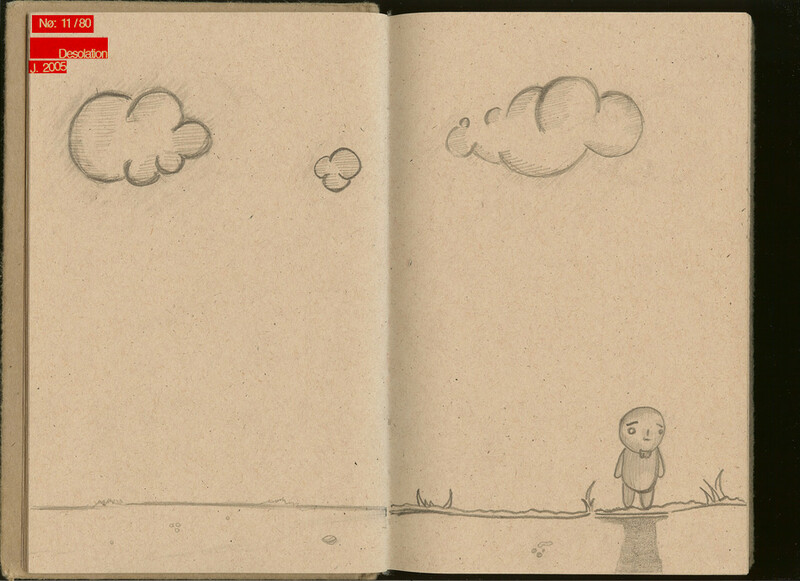 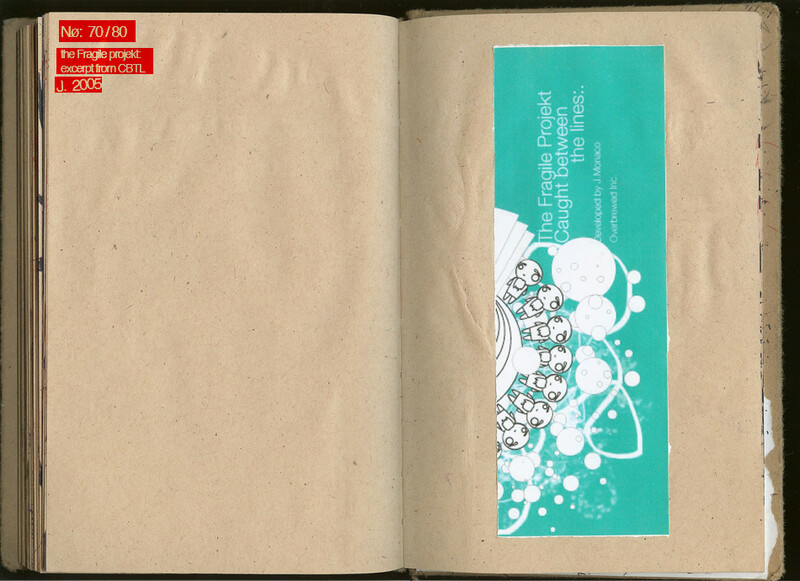 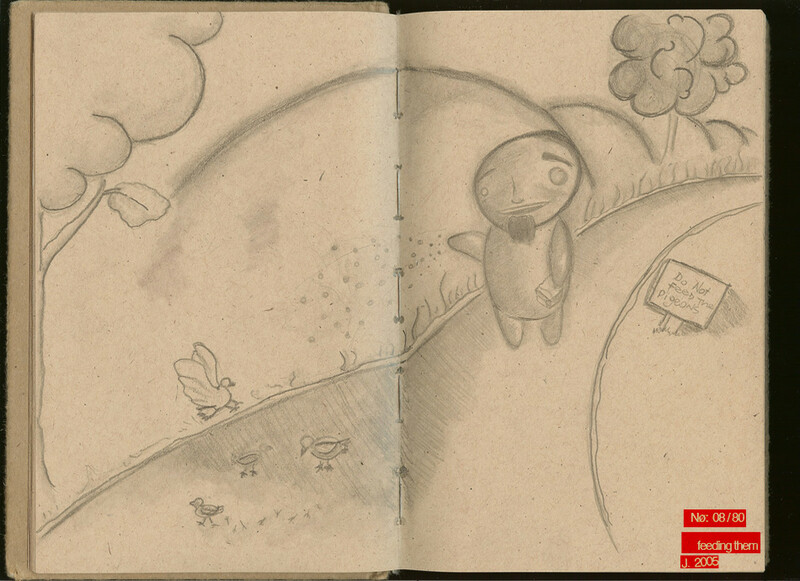 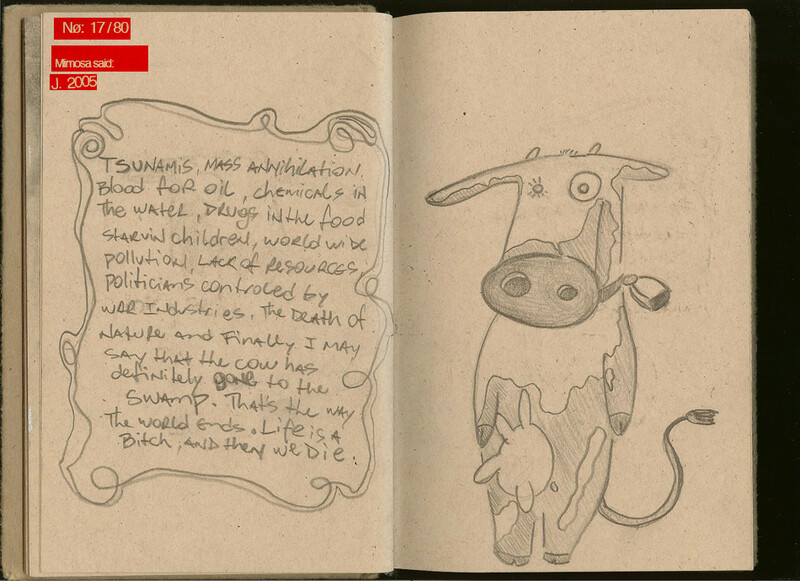 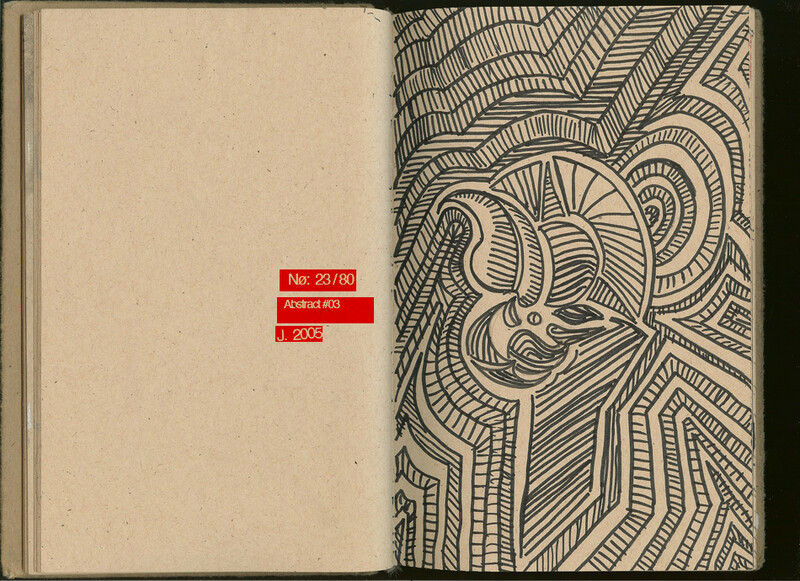 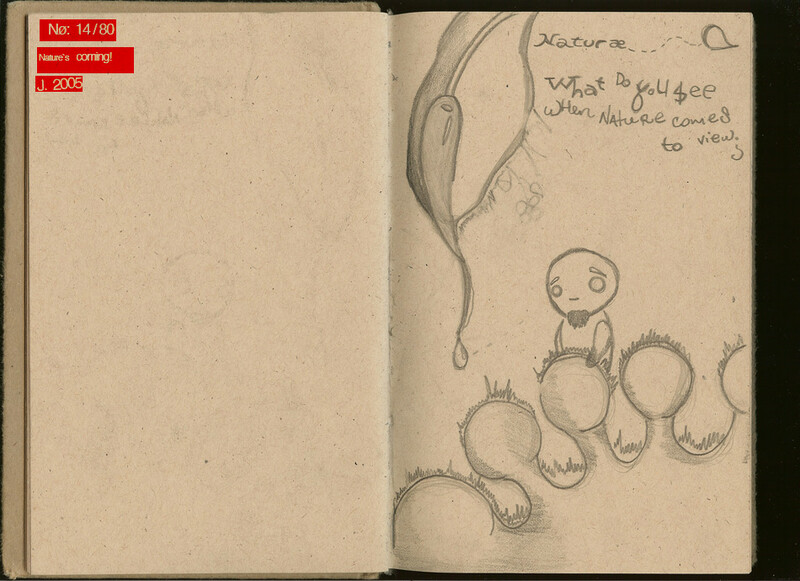 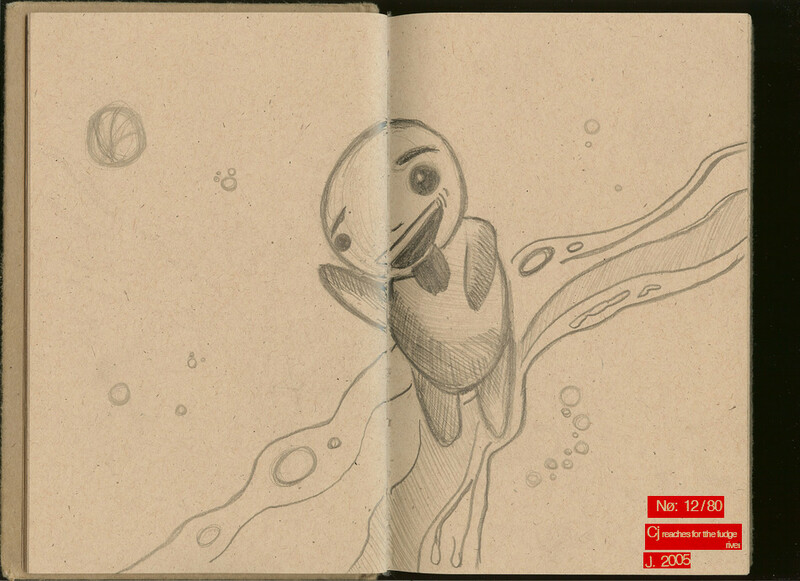 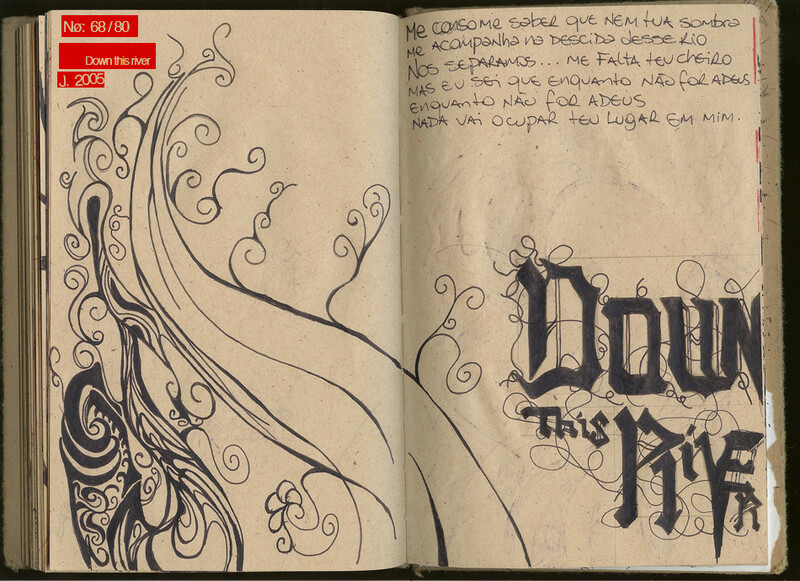 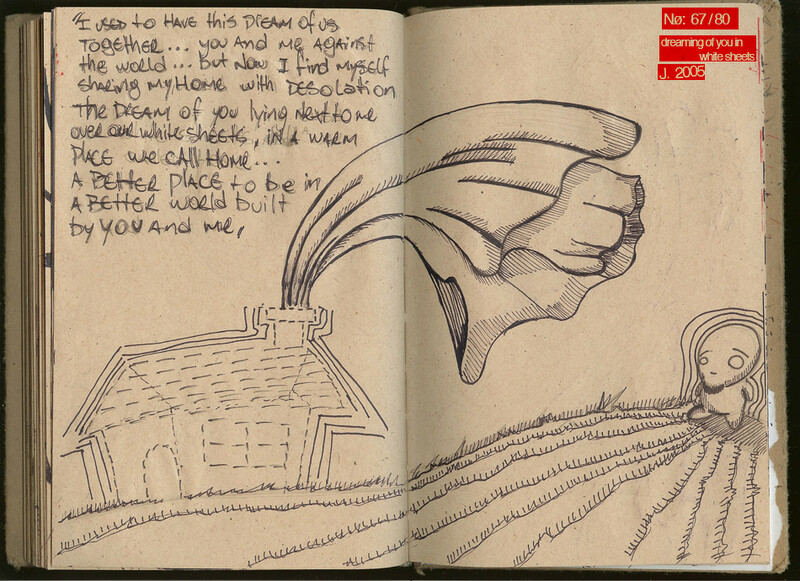 My #01 journal/Sketchbook scanned. 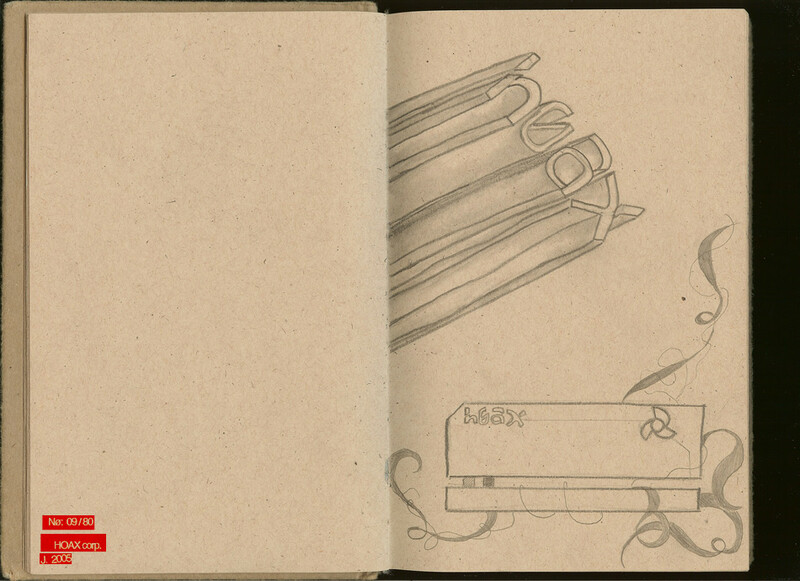 Thoughts and stuff shot across 2005. 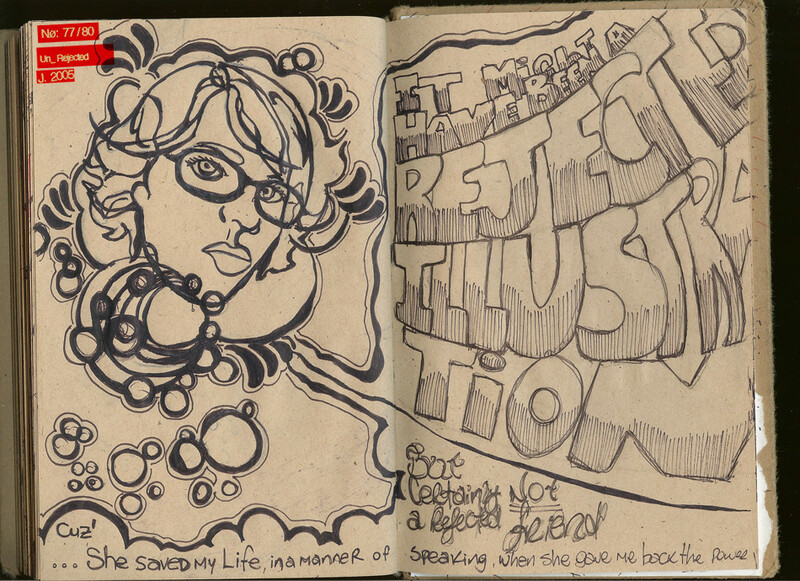 I believe it is habbit, an almost unbreakable one, to sketch things wherever i am and on whatever happens to be available to be a canvas. 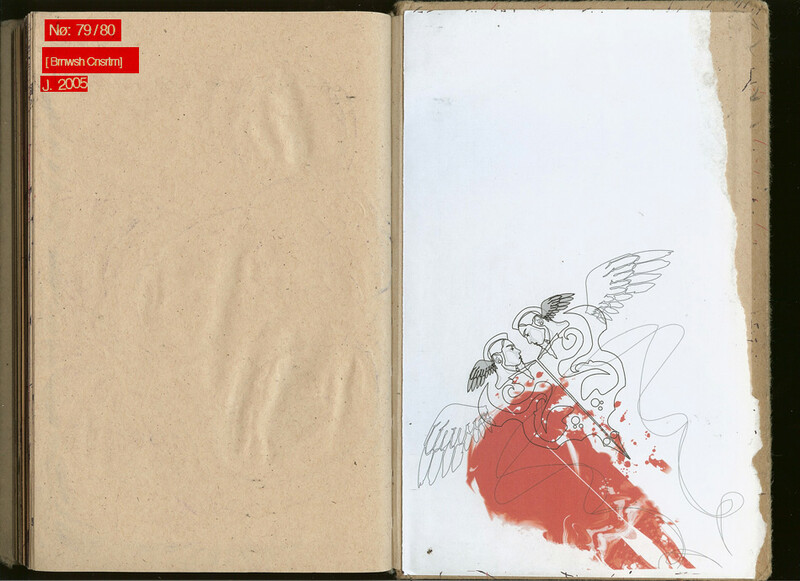 Not usually but sometimes i found problems as such getting in trouble for graffitting desks in art college or wall on street and to solve this issue ( considering the fact it is hard to take a desk home to finnish a piece of work, i bought some sketchbooks. 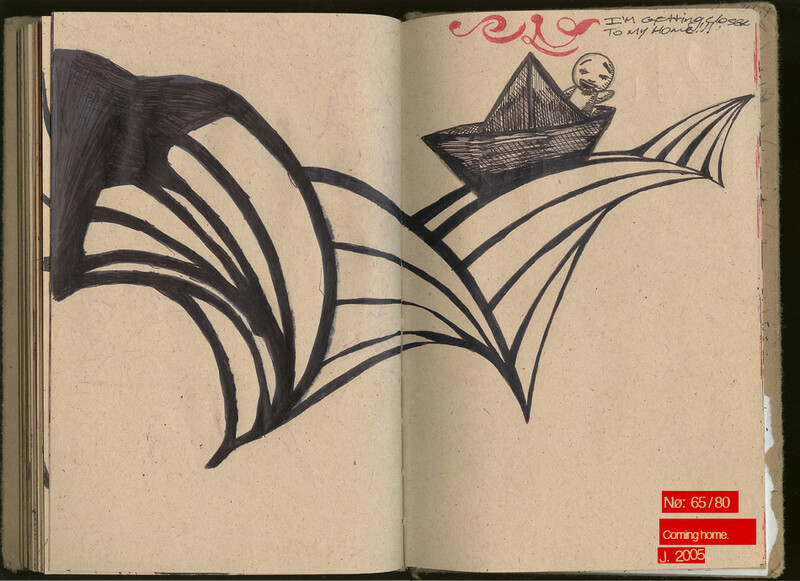 At first it worked for me as a canvas for random doodle and ideias i really need to put in paper... but suddenly it turned out to be a good cmpanior as a journal and a safe place to pour somethings i felt... it had become where i got in catharsis. 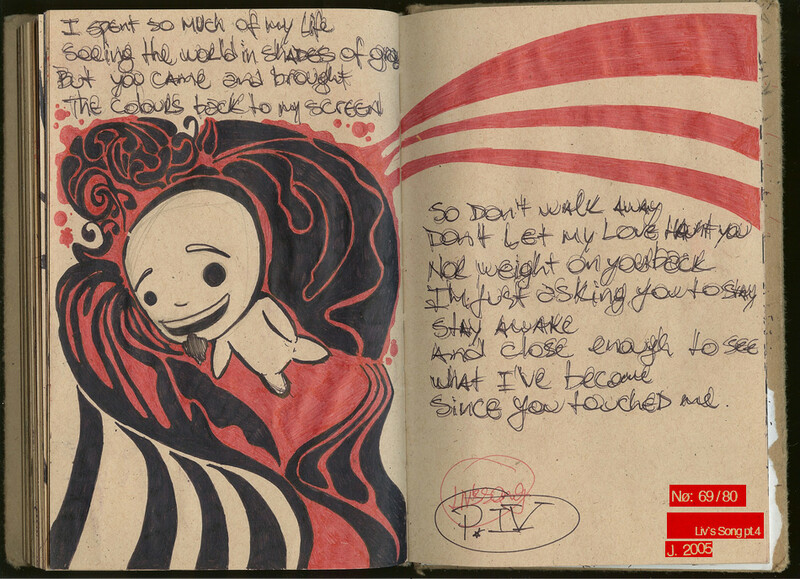 - This was the first one i finnished, so it is the first i'll share here some excerpts. 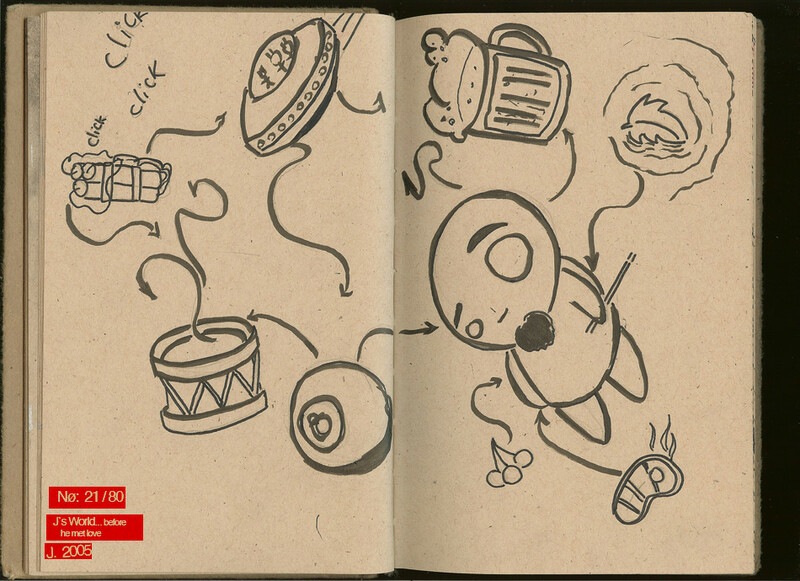 For some reason, many pages just can't be uploaded/ so there are some missing here.